Plyometrics is an incredibly exciting form of training, it is popular in many sports (particularly athletics) and is gradually becoming more and more popular with regular gym goers. The exercises are enjoyable, easy to learn, and most require little equipment (other than a plyometric box). But there are many performance benefits to performing the exercises, which we will go through now. Probably the most well-known benefit of plyometrics is that it improves your power, this is a measure of strength and speed and can be very helpful for all sports, and for gym goers. A study by Blakeyl & Southard (1987) found that plyometrics increased both leg speed and leg power . Agility is a great way to improve sporting performance, it can be really useful for both team sports (football, hockey, basketball) and for individual sports such as tennis. A 2014 study by Ramachandran & Pradhan found that only two weeks of plyometrics training could improve agility in basketball players . Not every sport requires acceleration, and almost no gym routine will consider it to be important. But for running, football, basketball, rugby, and soccer, acceleration can be vitally important. Being able to go from a standing start to full on sprinting at a faster time than your opponent can really give you an advantage. Plyometrics is well-known for its ability to improve acceleration, and studies such as Lockie et al (2014) have found this to be the case . Not only can plyometrics improve general skills, such as the ones mentioned. It can also help with specific skills, for example this study by Perez-Gomez found that combining plyometrics and weight lifting led to increased velocity during a kick in soccer . Other studies have found that plyometrics can improve golf swings, and tennis strokes. 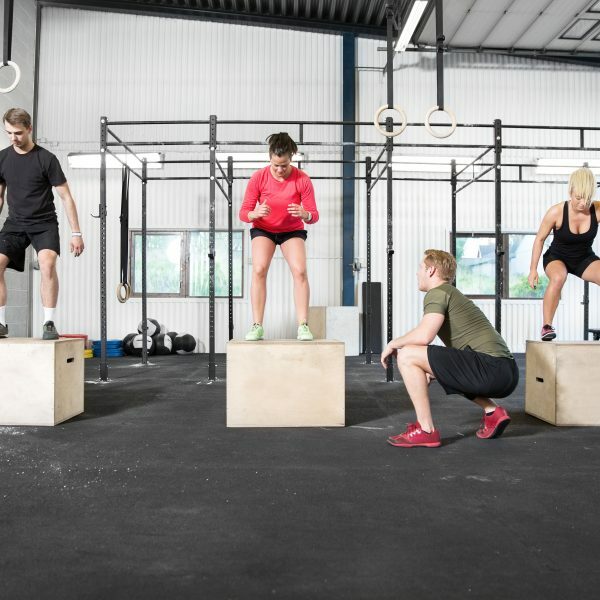 One thing about plyometrics that people don’t realise is that it can be really hard on the joints, which is why it is advised that only experienced gym goers and athletes attempt it. But if you are fit and healthy enough to perform plyometrics then you’ll be amazed at the good it can do you. Properly performed, plyometrics can actually lower your risk of injury. Chimera et al (2004) found that plyometric training lowered injury risk in female athletes by improving lower joint stability . So if you are performing a high-impact sport such as running or particularly if you are interested in obstacle courses, then a plyometric program could really help safe-guard your joints. One little-known benefit of plyometrics is that it can actually help increase muscle size, usually people think of it as a performance-booster rather than a way to increase hypertrophy. Granted, if you are a bodybuilder with already massive muscles then plyometrics probably won’t lead to any measureable increase. But if you are a sports person, or if you don’t have massive muscles then plyometrics (when combined with strength training) has been shown to be effective. A study by Potteiger et al (1999) found that muscle fibre size increased following an 8-week plyometrics program , while a study by Herrero et al (2006) found that combining plyometrics and EMS led to increased muscle size (EMS being electric muscular stimulation – similar to ab belts) . There are many benefits to adding plyometrics to your training program, and the best bit is that you can decide what benefits will suit you, and train accordingly. If you are looking to improve your jumping prowess then box jumps, depth jumps, and long jumps will really help increase lower body power. Whilst an amateur golfer might want to instead focus on upper body power, or whole-body power to improve his golf drive.